My dear sister sent me a big bottle of Nutella. She claims that the Nutella from Canada is way much better and is very different from the Nutella being sold in Manila. 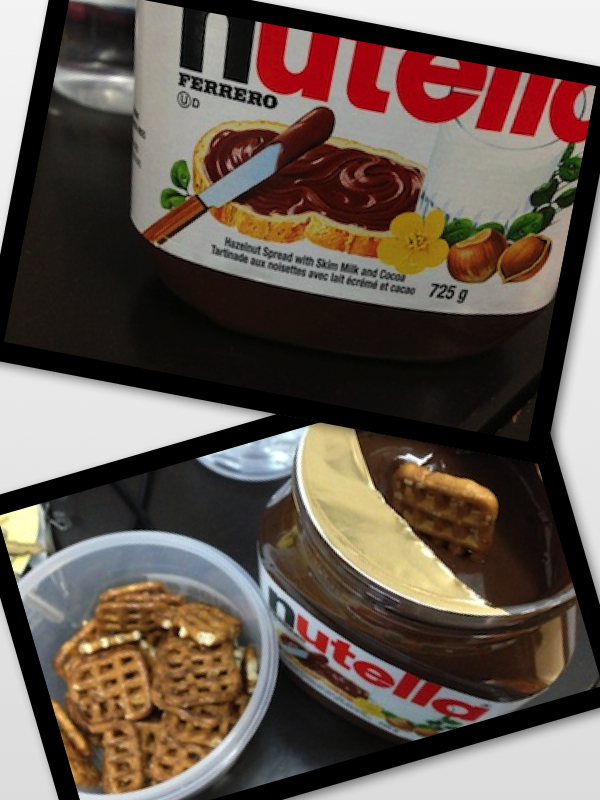 Nutella from my Canada (sis) + Pretzels from U.S (mom)=perfect combination! …I feel the love!!! This is one of my go to snacks to make me happy!